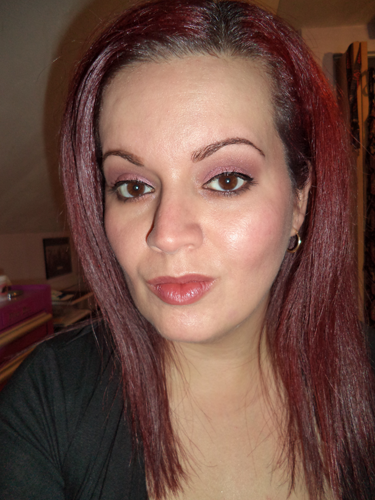 Here are some photos of a look I did today using the Urban Decay Naked3 Palette. 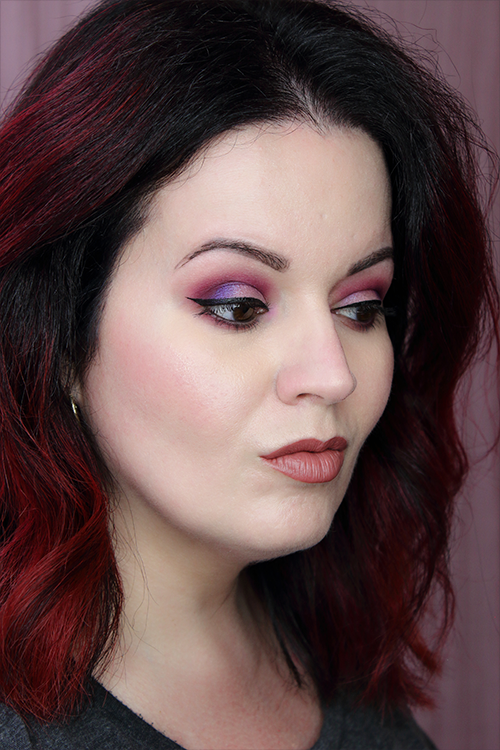 I used Buzz on my lid, Burnout in my crease, Nooner on the outer corner of my crease, Dust on the inner corner of my eye, Liar on the inner part of my lower lash line, Blackheart on the outer part of my lower lash line, and Strange as my highlighter. I absolutely LOVE how the shadows applied. I didn’t need to build them up and there wasn’t a ton of fallout. Dust did kind of leave me with specks of glitter on my face, but it’s no big deal really. The look I ended up with made it worth the trouble. 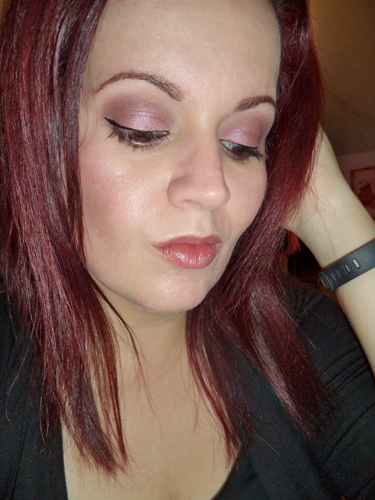 My husband couldn’t stop complimenting my eye makeup. Is that weird? I’m not sure how many other gals husbands or boyfriends are as involved in their beauty addictions like mine is. He’s always asking what I used and complimenting me afterward. But today he really couldn’t stop staring and telling me how great it looked. I have to agree with him. 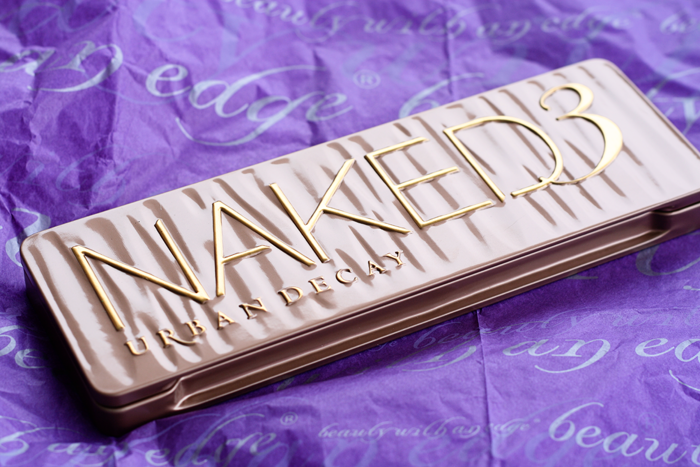 This is by far my favorite palette of all time. When it comes back in stock I’m totally buying another to have as a backup. And I NEVER buy backup palettes. But I can just tell this bad boy is going to get used often. I know this doesn’t seem like much of a review, but I don’t know what more to say. 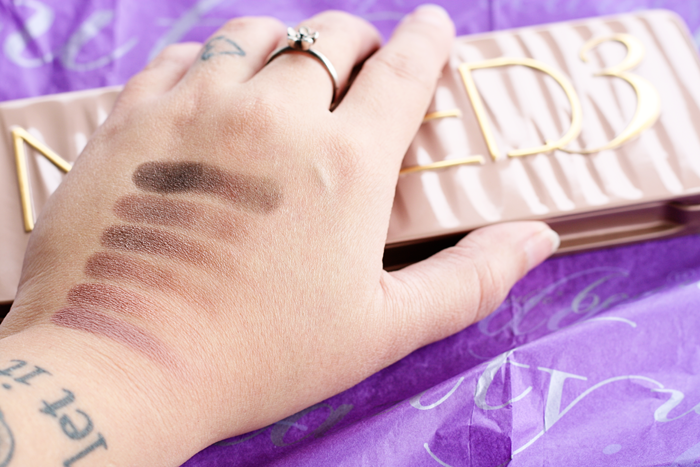 It’s an amazing palette and the shadows applied to my lids exactly how they swatched on my hand. They’re nicely pigmented and just great quality all around. You can create a number of neutral looks to wear to work, school, or wherever! I can totally see this even working wonderfully for bridal makeup. 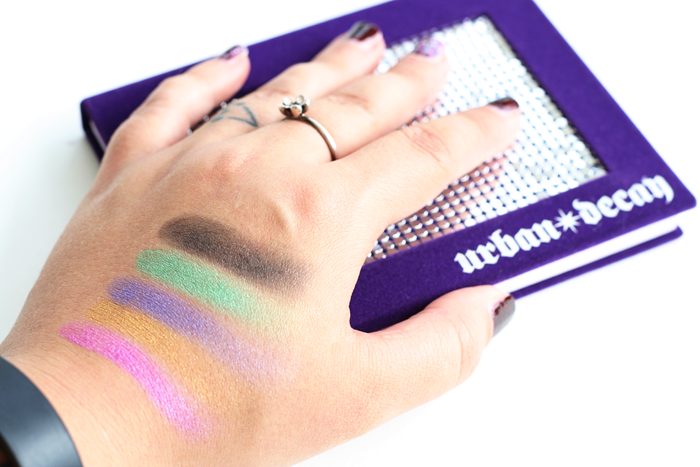 Well done, Urban Decay! Well done! 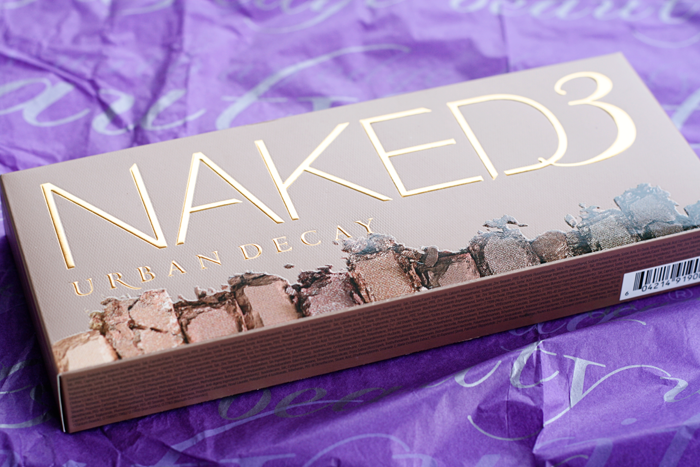 Oh, Urban Decay! You made me break my no-buy, but you made it SO VERY worth it! I mean with all the hard work I’ve been putting in I figure I deserve a little something something. At least that’s what I keep telling myself. Where to begin? 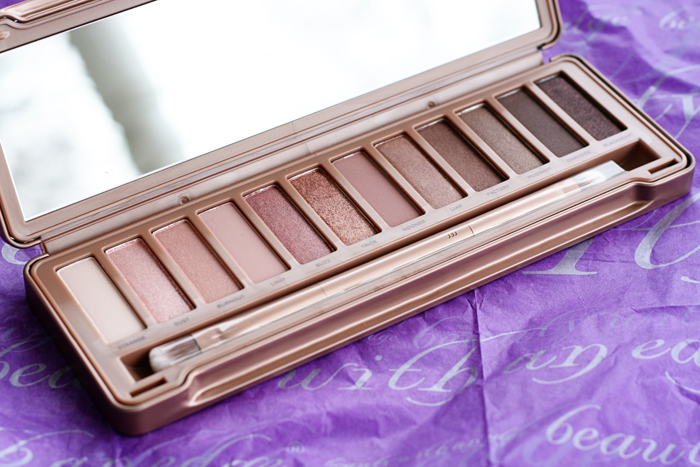 For starters, this palette photographed so beautifully that I couldn’t decide which photos to keep and which to toss. So I kept them all and thought I’d break this review up into 2 parts. This way it isn’t so photo heavy. This part will focus on the photos and swatches. 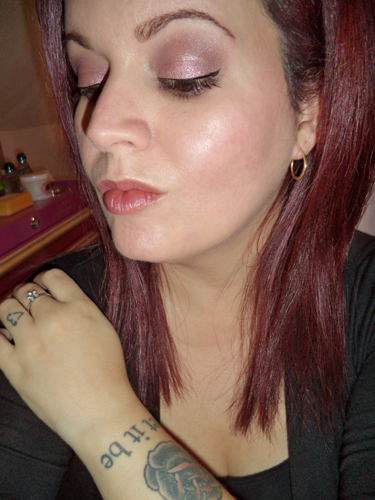 Part 2 will feature the review along with a few looks. This package arrived early this afternoon and was definitely packaged with care. It was surrounded in bubble wrap and the prettiest purple tissue paper. Which I ended up using for the photo shoot. 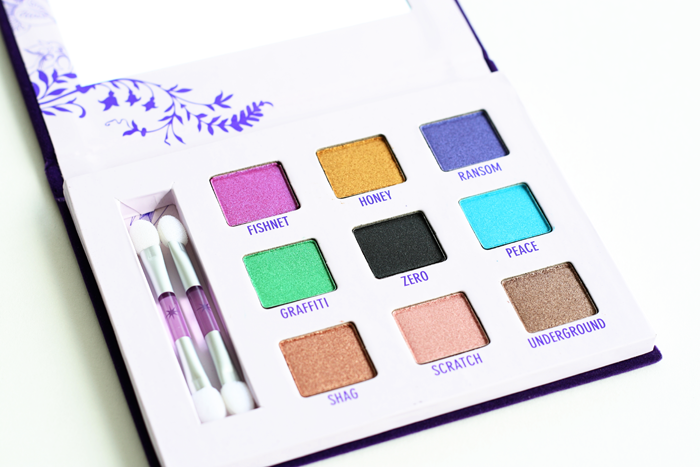 The palette itself is gorgeous. It’s easy to open (I felt the need to mention this given the amount of palettes I have trouble opening as of lately) and even stayed open throughout photographing and swatching. The shadows felt SO soft and smooth that I had to stop for a moment to see if there was a film covering them and maybe I just missed it. There wasn’t. 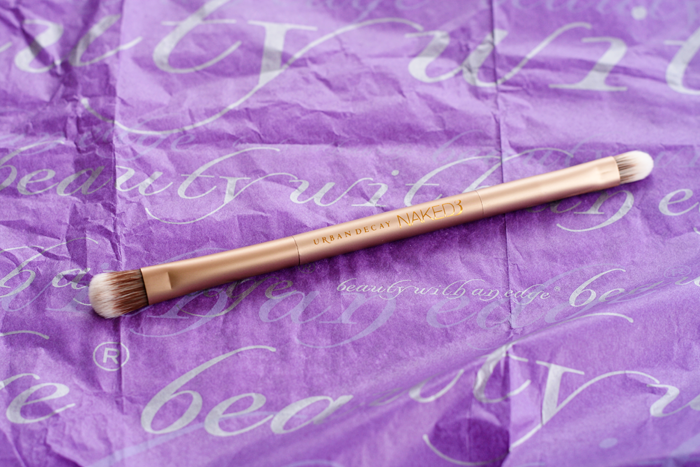 The shadows are just that silky smooth. 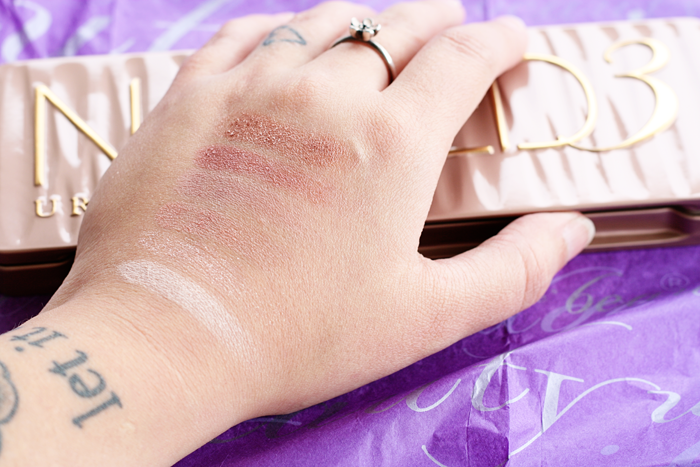 I absolutely LOVE how they swatched and can’t wait to break this baby in. Stay tuned for part 2! 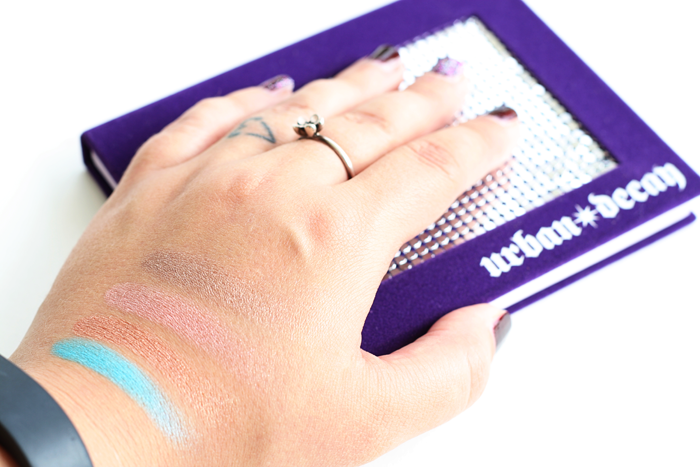 Aren’t these swatches amazing? 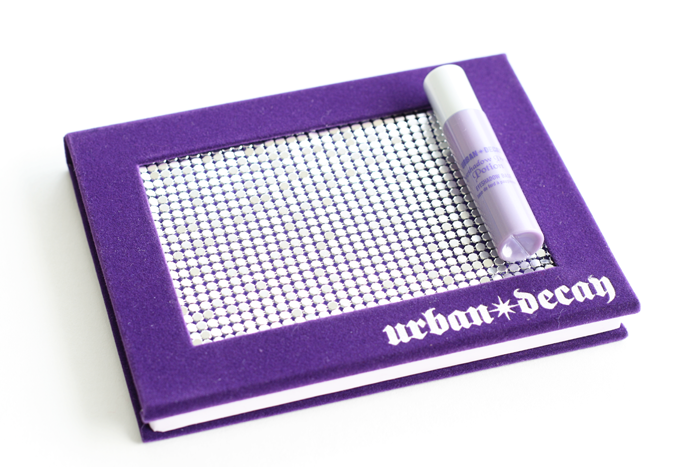 I picked up this Urban Decay Deluxe Shadow Box at Nordstrom Rack a few months ago for about $10.00! I walked into Nordstrom Rack looking for the LORAC Downtown Drama and Uptown Allure palettes and then spotted this gem. How could I walk away from such a deal? 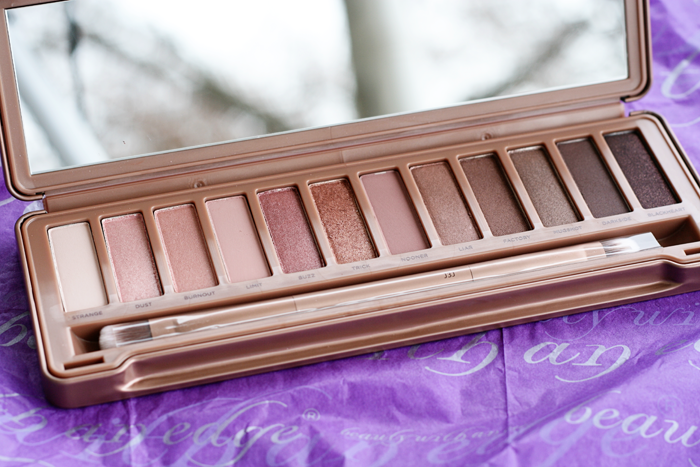 I’ve used this palette several times since purchasing it, but haven’t taken any photos yet. I’ll post some looks later on in the week. 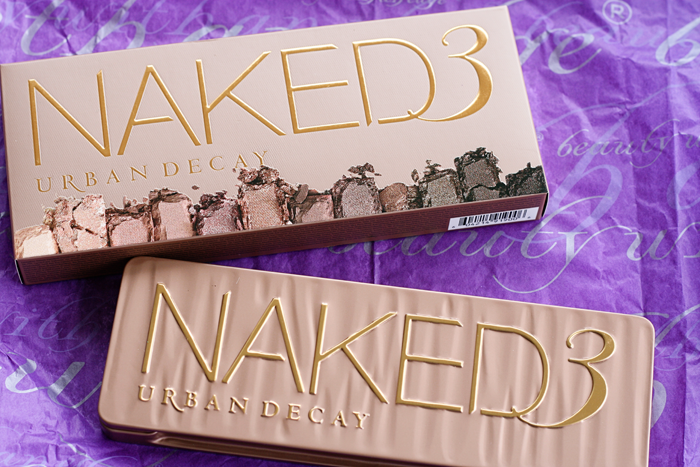 And I’m still anxiously awaiting the Naked3 Palette! I just might do a victory run through the house once that palette reaches my hands.